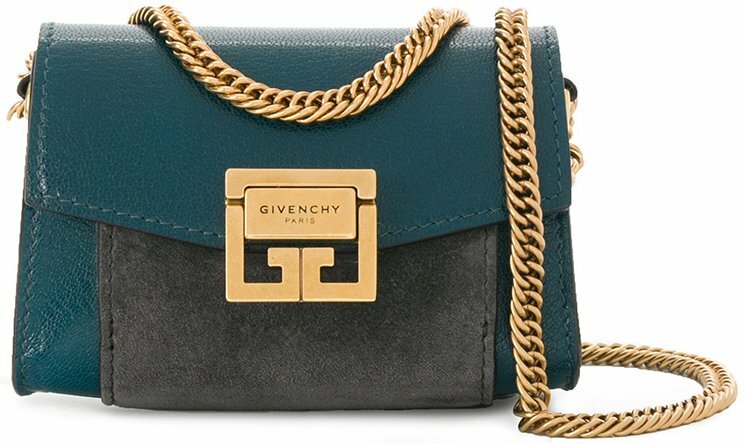 The Nano GV3 Bag looks and feels the same as the Medium or Large sizes. 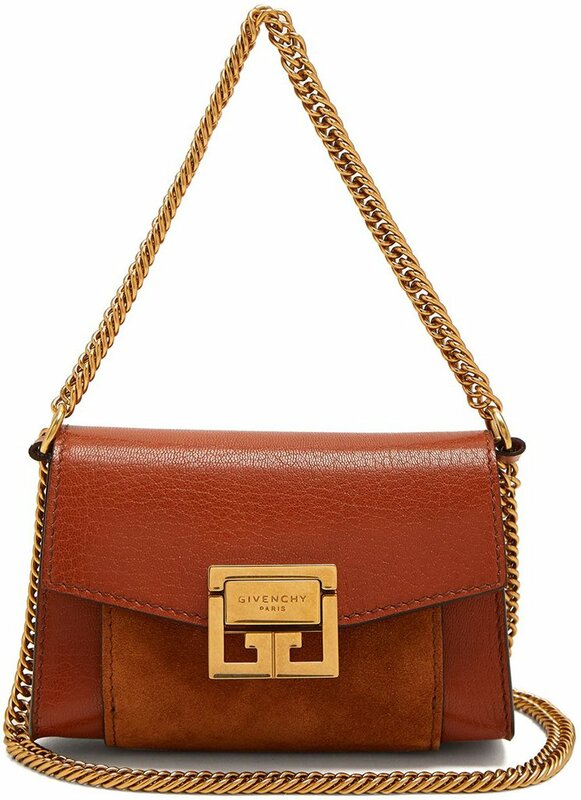 The upper part is built from grained leather while the lower center part is built from suede leather (the part where the interior front pocket is hidden behind the flap). And there is more. The most intriguing part is the fresh center lock. 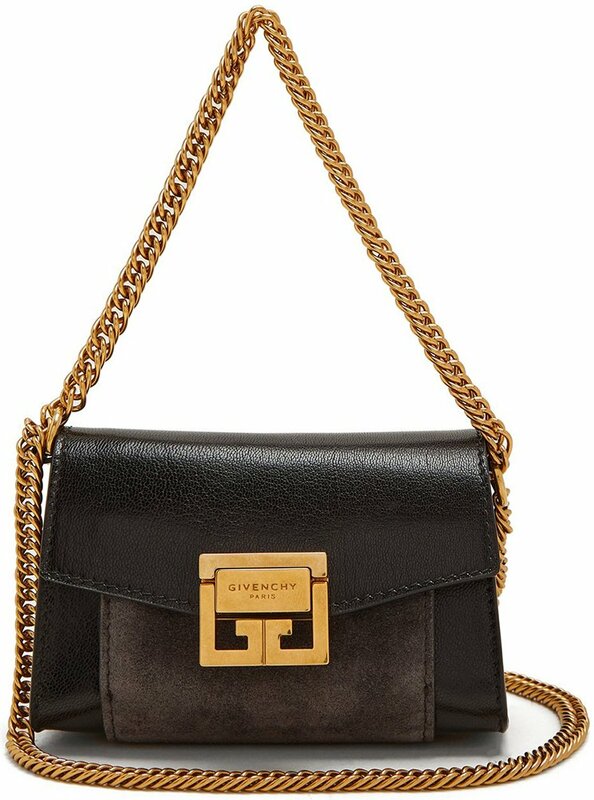 The lock is made with a double G for Givenchy in gold hardware. 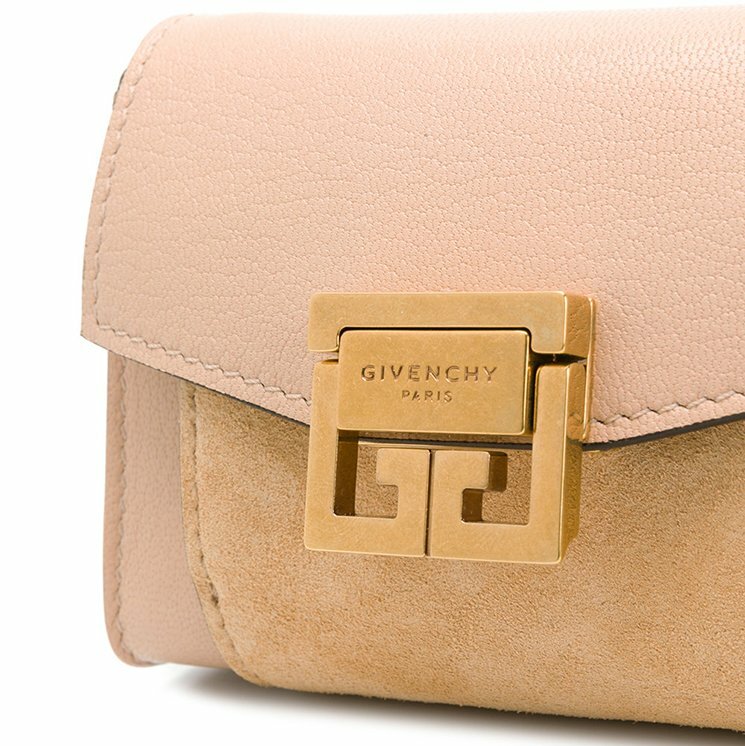 And middle piece repeats the label’s signature again, it reads: ‘GIVENCHY PARIS’. Stunning isn’t? 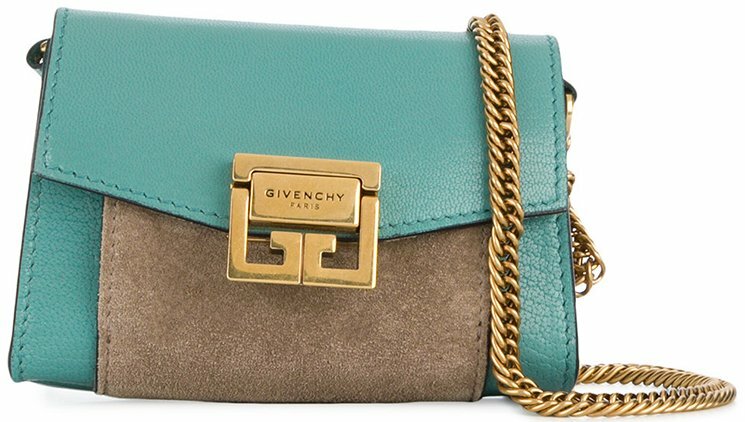 The bag features a front flap and direct behind the flap, there is a pocket made from suede. This pocket is partly exposed below the GG clasp. 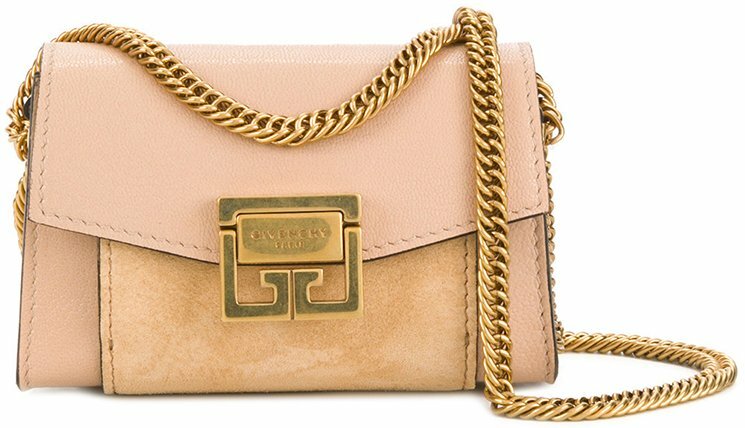 And we are also absolutely fond of the latest medium-sized chain strap. It looks very boyish, but then again the style is not exaggerated. And there is more and more. 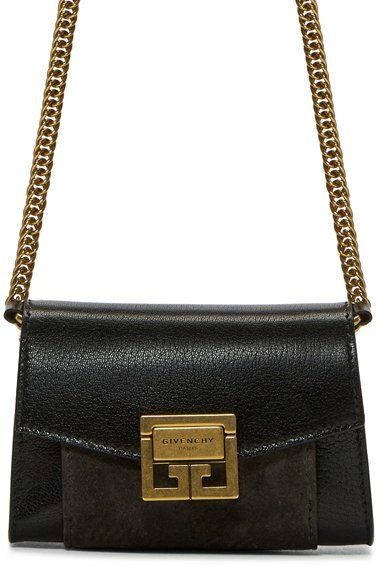 You can carry the bag on your shoulder or sling it cross body, thanks to the long chain strap. 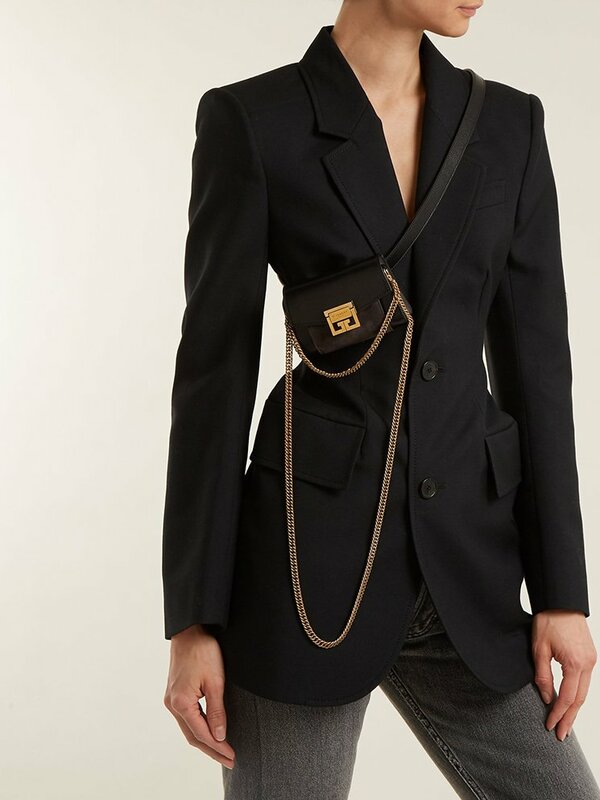 But on the back of the bag, we can find two leather supports where we can slide our belt through it and transform the beautiful nano bag into a waist bag. So how does that sound to you? Handy for travelling and other occasions right? 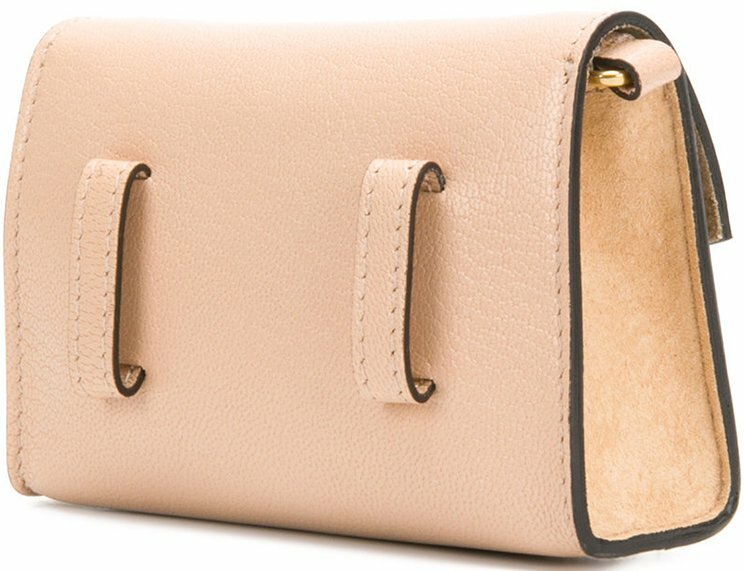 Because it’s a nano bag, the interior space is very limited. 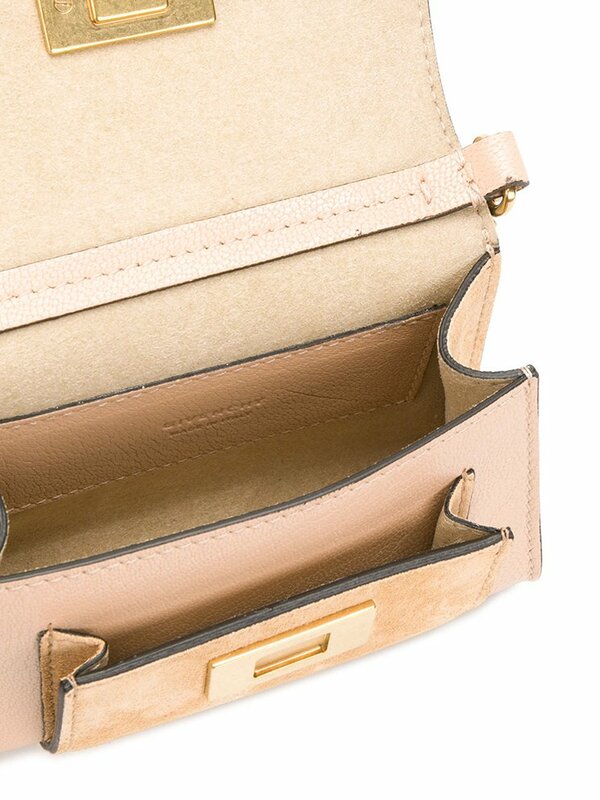 Inside you will find one main compartment to store your personal essentials. There is also a small front patch pocket built inside. Measuring 4.7’ x 3.1’ x 1.5’ (W x L x D) inches, priced at $977 USD, €790 euro, £688 GBP. 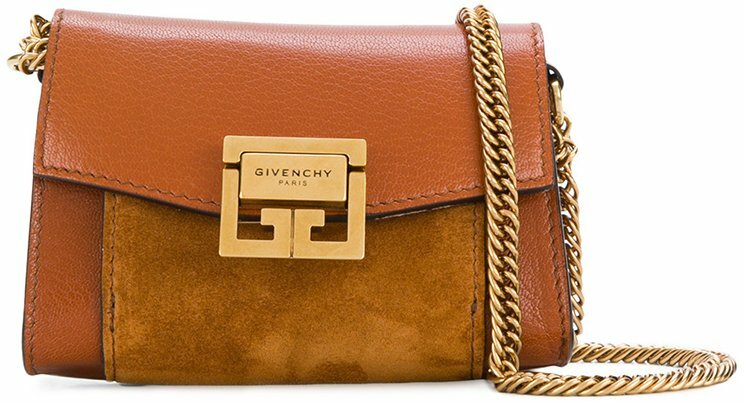 Where To Shop Givenchy Nano GV3 Bag?